Do Mulder and Scully get to the truth during the 11th season of The X-Files TV show on FOX? As we all know, the Nielsen ratings typically play a big role in determining whether a TV show like The X-Files is cancelled or renewed for season 12. Unfortunately, most of us do not live in Nielsen households. Because many viewers feel frustration when their viewing habits and opinions aren’t considered, we’d like to offer you the chance to rate all of The X-Files season 11 episodes here. A FOX sci-fi mystery thriller, The X-Files stars David Duchovny as FBI Special Agent Fox Mulder and Gillian Anderson as FBI Special Agent Dana Scully. Mulder and Scully investigate unexplained or “X-Files” cases — which have answers involving paranormal phenomena. Returning in season 11 are Mitch Pileggi, William B. Davis, Annabeth Gish, Lauren Ambrose, Robbie Amell, Veronica Cartwright, Chris Owens, and Dean Haglund. They are joined by newcomers including Barbara Hershey and Haley Joel Osment. What do you think? Which season 11 episodes of The X-Files TV series do you rate as wonderful, terrible, or somewhere between? Should FOX cancel or renew The X-Files for a 12th season? Don’t forget to vote, and share your thoughts, below. My husband watched this years ago and I never go into it. The new ones, last couple of years, it has become one of my favorite shows, would love to see a season 12. I love the first X-Files seasons and always wanted them to explain or finish many stories. Now maybe now with the new seasons they can. I believe it’s worth at least from what I’ve seen so far they should go at least 20 season’s and call it good cause by then everything will be answered and we will know what’s going on not that we don’t already? Pretty sad to see it sink to the depths it has. the acting is stiff, almost amateurish. I can’t believe that after all these years together, and having an intimate relationship they still address each other by their last names. Bring the show back properly with new cast and story line. Maybe then it will work. So glad to see my X-Files really back on track. I really hope it’s here to stay, as there is so much going on for real right now to fill in enough material to keep it going for decades! 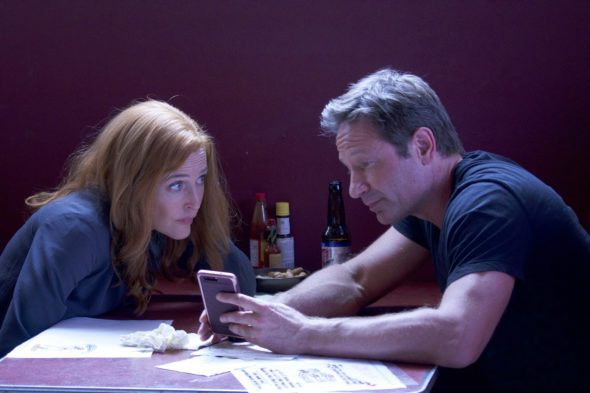 I understand that at some point, we will have to accept letting go of Scully, and maybe one day even Mulder, although they are the foundation. But the whole ark of the series goes beyond any one character. I was really pleased to savour my hour last night and hope to see many more like it!